← 27 November 2017 – Dubious Deportations to Turkey Prevented! In Turkey, the two brothers were detained in prison for an unknown period of time under even more inhumane conditions. 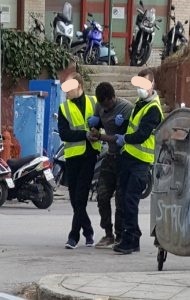 After a few weeks, they were deported back to Nigeria without the been given the possibility to apply for asylum in Turkey. They reported that they had been gagged and threatened with a stun gun during their airplane deportaion from Turkey to Nigeria.